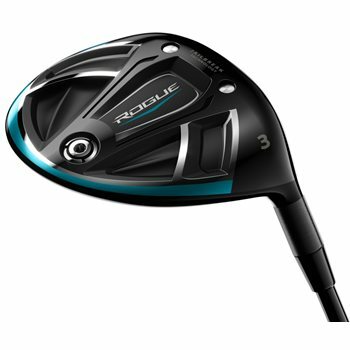 The Callaway Rogue Fairway combines Jailbreak Technology and Face Cup Technology to promote fast ball speed across a large part of the face for consistently long distance and features a Triaxial Carbon Crown to promote high launch / low spin and increased MOI. The ultra-low CG location and high MOI make the Rogue easy to hit and exceptionally accurate. With the help of Boeing, Speed Step Technology has been improved to increase airflow for faster head speed.